Dirt, grime, and stains are unavoidable on surfaces that are exposed to the elements of nature. Add environmental pollutants, soot and other man-made stains and the exterior of your home or commercial building can quickly look dingy and grimy. 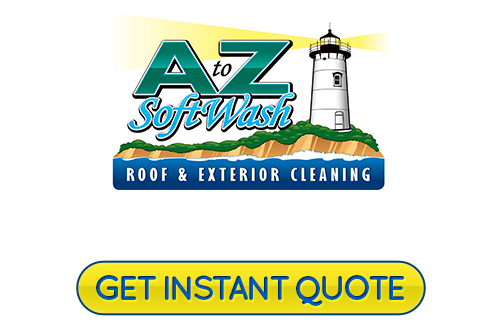 If your home or commercial building in Provincetown needs a good roof cleaning or exterior pressure washing, call A to Z Softwash. 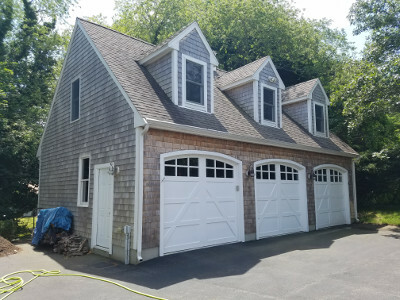 Our Cape Cod pressure washing company can help you eliminate years of stains and buildup on your roof, siding, fences, driveways, and other exterior areas. We offer professional roof cleaning and exterior house washing service to Provincetown. We use safe softwashing techniques which will leave the exterior of your home or business looking superb. Building materials can be vulnerable to harsh cleaning methods. Chemicals and improper pressure washing techniques can damage the exterior surfaces of your home or business. Even surfaces as hard as concrete or metal can get pitted by high-pressure water jet streams or harsh chemicals. Once the material becomes pitted, it breaks down more easily. This damage is permanent and the material will have to be replaced much sooner than usual. People often think their wood siding or fences have to be painted or refinished when all that is really needed is a good cleaning. It's a common misconception because dirt and grime can make painted fences look really dull or a stained finish look weathered. You'd have to be a professional pressure washing company to understand this. We see it every day. Our exterior softwashing service in Provincetown can restore the beauty of your fence. Our customers are constantly amazed at how great their fence looks when they didn't have to go through the trouble and expense of refinishing it. 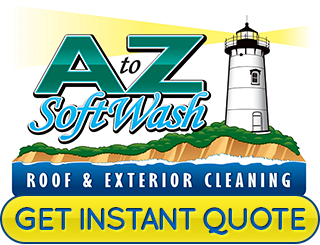 Instead of repainting your fence, call A to Z Softwash. If you would like an estimate for Roof Cleaning or Fence cleaning in Provincetown, please call 508-209-7795 or complete our online request form.